In the 70s of the twentieth century, almost the entire civilized world was fascinated by jogging. Gradually, his popularity subsided, but jogging to this day remains one of the most effective and affordable ways to lose weight and strengthen the cardiovascular system. Consider how it differs from other types of running, how it affects the body, and how to properly engage in order to lose weight, increase endurance, strengthen the heart and blood vessels. Jogging is a universal kind of load, it is used by both champions and people far from sport, who for the first time decided to take up their physical form. Many, starting with small daily runs, are so involved that they completely change their lifestyle and start running marathons. It differs from walking a trot by having a period of separation from the surface of both legs, the so-called flight phase. And jogging differs from normal running in that the phase of flight with it is minimal – it is only necessary to push the foot off the ground, as the second immediately lands, reducing the time spent by the body without support to the lowest values. breathing – free, without shortness of breath, when it appears it is recommended to reduce the speed or go to walking. When jogging, all muscles that do not participate in body movement should be relaxed. This also applies to the muscles of the legs, which should be relaxed for a short time while the phase of separation from the ground lasts. Due to the low intensity and economical movements, it is possible to postpone the onset of fatigue as much as possible and minimize the risk of injury. 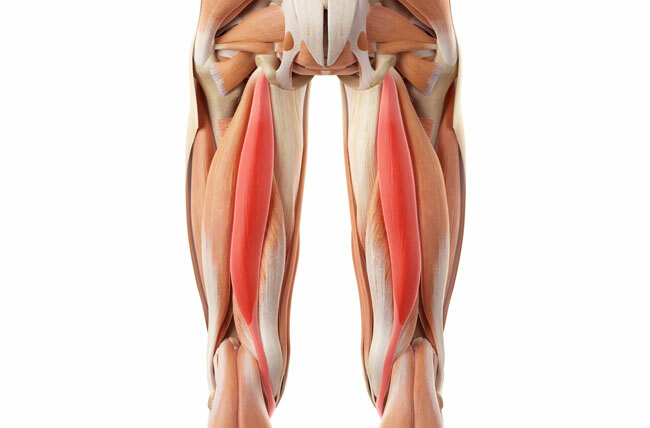 The maximum load falls on the muscles of the thighs, legs, feet, buttocks. Less loaded ileo-lumbar, intercostal, latissimus dorsal muscles, abs, biceps, triceps. The cardiac muscle is trained, its work becomes more effective: the heart rate at rest decreases, and the release of blood in one contraction increases. Trained muscles, providing breathing, increases the volume of the lungs. There is an accelerated burning of fat deposits. Aerobic exercise, in particular, jogging, is the most effective means of losing weight. Reduced risk of developing diabetes. Due to the improvement of blood circulation, blood pressure is normalized. The level of hemoglobin increases, the supply of tissues with oxygen improves. The neuropsychic condition improves, sleep normalizes, the risk of depression decreases. The added benefit of jogging is that they are usually practiced outdoors. This contributes to an even greater enrichment of blood with oxygen, hardening of the body, emotional lift. For the first time about the benefits of jogging, the New Zealand run coach Arthur Lydiard told the world in 1961. Later, he wrote several books popularizing jogging. Thanks to these books, as well as the asceticism of another American Jim Ficks jogging popularizer, jogging became very popular throughout the world in the 1970s. Hundreds of thousands of people in the 70s began to jog in order to improve health and increase life expectancy. In the people this occupation was called run from a heart attack. The boom of popularity of cowards began to subside only in the mid-80s, the death of its popularizer Jim Fix at the age of 52 from a heart attack that occurred during the morning run contributed to this. At the autopsy, it was found that the athlete’s vessels underwent strong sclerotic changes. However, this case should not be in doubt about the benefits of jogging. After all, up to 35 years old, Jim Fix had about 30 kg of excess weight and smoked 2 packs of cigarettes a day. Most likely, by the time he started to run with enthusiasm, his arteries were already in poor condition, and if he had not changed his way of life, he would have broken off even earlier. The discoverer of the benefits of jogging Arthur Lydiard lived 87 years, until the last day, giving lectures on health running. 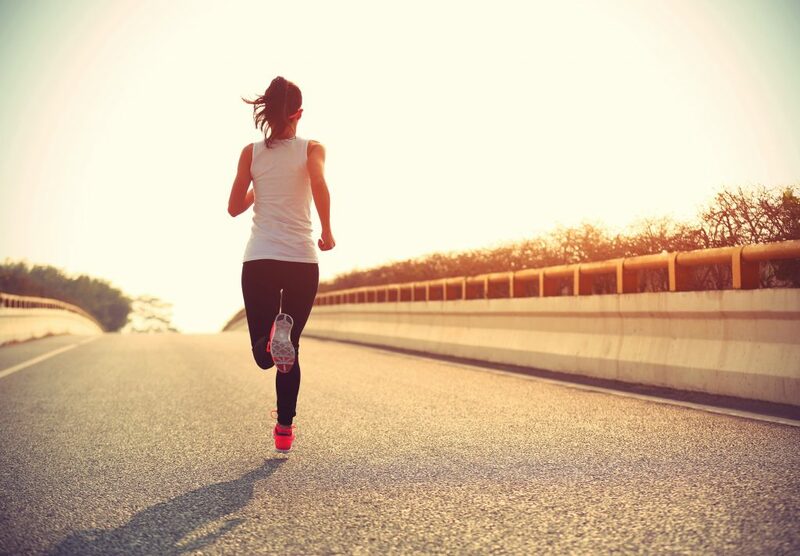 Systematic jogging strengthens the nervous system and has a positive effect on the psyche. In addition, there is also such a phenomenon as the runner’s euphoria – feelings of unreasonable joy and happiness, similar to the effect of alcohol or drugs that appear after a long run. With a runner’s euphoria, besides the tides of joy and happiness, athletes feel a dullness of pain, reduced fatigue, self-reliance and admiration for the world around. Although this effect is similar to the action of drugs, but unlike them, the euphoria from running does not bring any harm to the body. Runner euphoria, like narcotic drugs, is inherent addiction syndrome. That is, with regular long runs to achieve euphoria, an ever greater duration of continuous running is required. 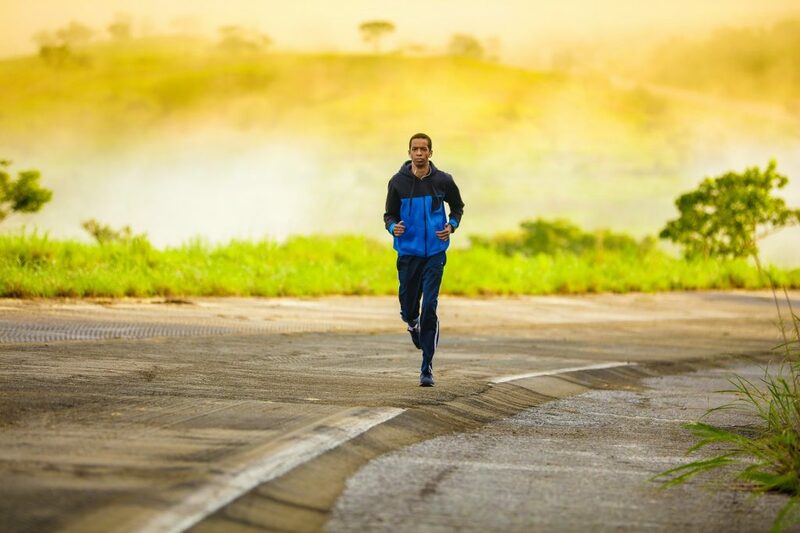 There is an opinion that this is what motivates athletes to run for long and extra long distances, to participate in marathons and ultra marathons. on roads with sharp ups and downs. Before jogging, it is necessary to warm up the joints by performing a warm-up, including rotations in both directions of all large joints. Buy a heart rate monitor and put it on a run, making sure that when jogging the pulse was in the aerobic zone. To determine the optimal heart rate during jogging, you need to subtract age from 220 and multiply the obtained value by 0.7. For example, for 28 years the optimal heart rate with aerobic exercise will be (220 – 28) x 0.7 = 134 beats / min. The duration of the run must be at least 20-30 minutes, but not longer than one and a half hours, in order to avoid overwork. The number of workouts per week is at least 3. It is desirable to breathe through the nose, especially when running outside in the cold season. In case of insufficiency of nasal breathing or shortness of breath, you need to go on a fast walk before resuming normal breathing, and then return to jogging again. At the first trainings, walking can be the predominant, this is normal, increase the running load gradually, focusing on breathing, pulse and well-being. Complete your run with stretching muscles. 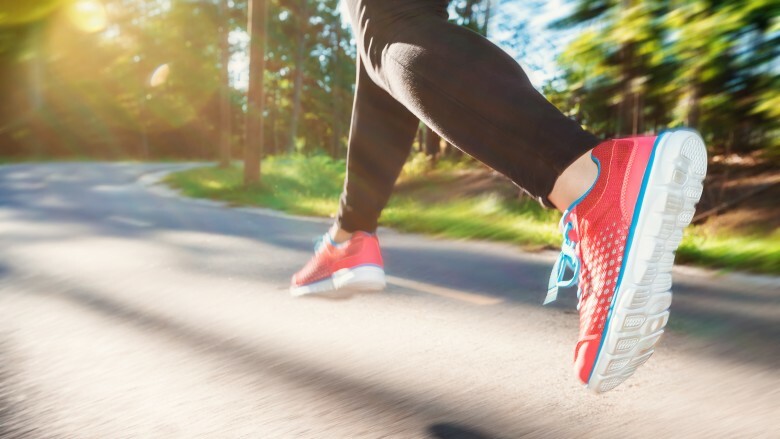 The best variant of the technique of running is to land on the forefoot, and you should gradually and carefully master the toe run so as not to get injured. Clothing should be of hygroscopic breathable materials, not constraining movement. Women need a sports bra to prevent bust droop. If you practice jogging for weight loss, then you need to limit yourself in nutrition in order to achieve a daily calorie deficit. If you eat the same amount of calories as consumed, or more, then you will not be able to lose weight. The time interval between eating and jogging should be at least 1.5-2 hours. If you feel thirsty while running, you can drink a little water, at long distances you can be supported by chocolate and dried fruit. There are quite a few simulators that are compact in size but capable of making work on the body much more efficient. One of them is a press clip, which is aimed at strengthening the abdominal muscles, but also allows you to work with other muscle groups. Not only trained athletes, but also beginners who take their first steps in the world of sports can perform exercises with a simulator. The simulator can be found in almost any sports store or purchased online. The names may be different: press roller, press wheel, sports wheel, gymnastic wheel, gymnastic roller. In fact, these are the names of the same simulator. The wheel for the press fully justifies its name. In fact, this is the wheel, on both sides of which are fixed handles. The simulator can have either one or two wheels or provide for the possibility of installing / removing an additional wheel. The diameter can be different, but usually ranges from 15-20 cm (the smaller the diameter, the harder it is to deal with). The simplest models have ordinary plastic handles, and the more advanced ones have rubberized ones, which is much more convenient and safer when practicing. Upgraded models can be equipped with pedals for the feet, which allow you to expand the list of exercises and work more actively on the lower body. You can also purchase a simulator wheel with handles, which will be built with a trimmer with tensioners (expanders). When purchasing a gymnastic video clip, it is important to correctly assess your capabilities and needs, as well as analyze product offers on the market. This is necessary in order to buy a simulator specifically for your level, and also not to succumb to the tricks of the consultants in the shops, which sometimes are much more important not to help the client find a suitable option, but to sell him a more expensive model. Simulator with a return mechanism – the best option for beginners. It allows you to facilitate workouts and minimize the risk of injury. But unlike a simple wheel that does not have such a function, it does not give such a high load. It is much easier to deal with a press wheel having two rollers than one. Such a simulator keeps balance better, although it lightens the load. The roller with a shifted center of gravity is more suitable for those who already have experience with a simple wheel and are ready for more complex loads. For beginners, this model is not recommended. When choosing worth paying attention to the weight of the wheel. It is easier to work with lightweight models, but it is more difficult with heavy ones. The wheel with the pedals is usually chosen by those who are engaged in a professional manner. This simulator allows you to significantly diversify the set of exercises with him and get the best result. Even more embodiments of the exercise gives the simulator, optionally equipped with a trimmer with tensioners. It allows you to increase the load through the use of cable tension. 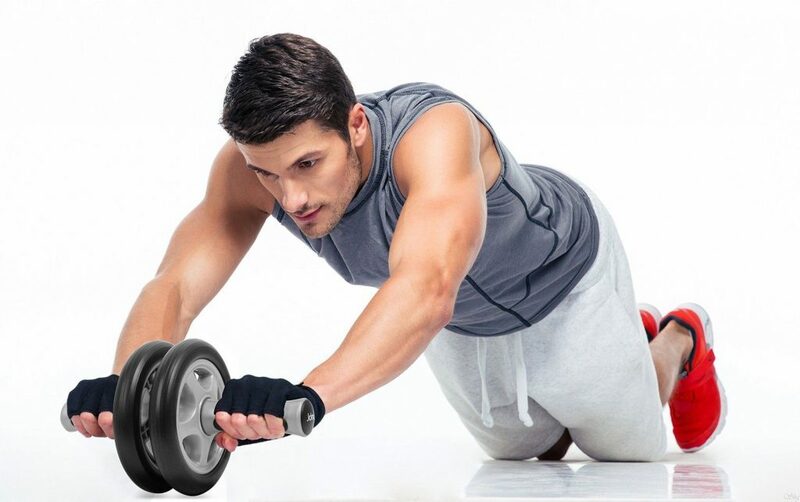 Exercises with a roller for the press are aimed at working out mainly the upper part of the body, namely the arms, shoulders, abdomen, back and chest. But when they are performed, a significant load also falls on the muscles of the lower press and lower back, buttocks, quadriceps, and thigh biceps are also involved. Performing exercises with the wheel in the “plank” position, virtually no part of the body remains unloaded. A large selection of options for using the simulator also allows you to work on hidden muscles, while achieving the best result. Classes with a wheel are recommended for those who are too early to think about working out muscles and just need to lose weight. There are quite a few exercises in which the gymnastic wheel is used. The principle of operation is always almost the same, but the initial position changes. Holding straightened hands on roller handles, rest them from the floor and place it strictly under the shoulders. Slowly start rolling the wheel forward to the distance of the outstretched arms, just as slowly return to the starting position. This is the easiest option, but quite effective for working out the press. To work on the oblique abdominal muscles, a similar exercise is performed, but the roller does not roll forward, but slightly away from the body. At the same time, the second leg is set aside. The exercise is performed similarly to the previous one. It is also possible to roll the roller both forward and to the side. One foot to kneel, the second rests on a wall or other reliable surface. Holding the roller in your hands, roll it back and forth as much as possible, keeping the center of gravity on it. Legs shoulder-width apart, arms straightened, roller rest on the floor. Roll it forward as much as physical training allows, go back. Roll back to the prone position, without lifting your knees from the floor, pull back. 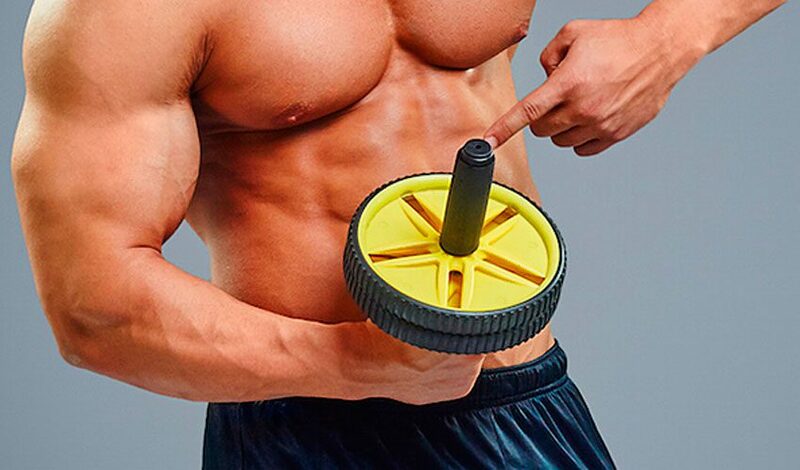 It is recommended to perform each exercise with a roller for the press 10 times, making 3 sets of each. At the initial stage of training, the number of repetitions and approaches can be reduced. This is especially true for those who are physically uncharacteristic. It is best to work out every other day, because the muscles need time to recover. It is extremely important each time before using a gymnastic roller, to warm up the body with simple exercises. This could be jogging, squatting, bending, etc. You can choose a simulator for varying degrees of fitness and weight of the athlete, as well as the type of exercise. In the final position, you need to make a short pause. When performing the kneeling exercise, it is necessary to place a special gymnastic mat under them to minimize the load on the joints. In case of occurrence of painful sensations in the back and spine, it is recommended to stop classes and consult with experts. Many people who want to lose weight are attracted by Tabata exercises for losing weight, recognized as the most effective for burning fat. This system allows you to spend on the complex of exercises for only 4 to 20 minutes and at the same time lose weight faster than from a full-time cardio load, simultaneously strengthening muscles and developing endurance. However, this method has its own nuances and limitations, and is not suitable for everyone. Consider all the features of this training, training schemes and examples of ready-made programs for primary and secondary level. The essence of training in the Tabata system is that short periods of superintensive load alternate with even shorter rest periods. This system is an extreme variant of high-intensity interval training (HIIT), in it the principle of alternating loads of varying intensity is brought to the extreme. The Tabata system is named for the author, a Japanese doctor of physiology. In 1996, a group of scientists headed by him was engaged in improving the endurance of athletes. During the experiment, which lasted 1.5 months, sensational results were obtained. A group of participants, who were training every other day using the new high-intensity system for only 4 minutes, improved their aerobic endurance performance much more than those who received the usual one-hour cardio load 5 times a week. 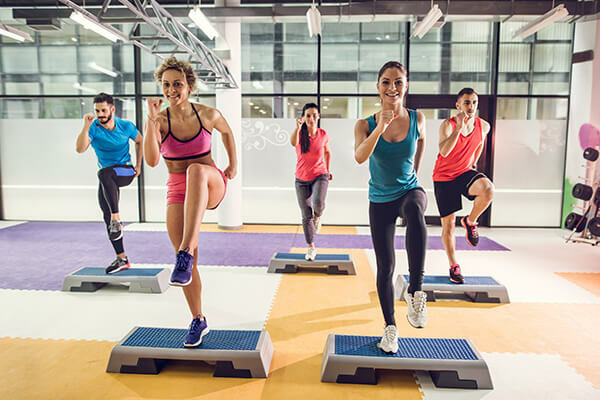 And most importantly, in addition to this, the participants in the first group registered an increase in anaerobic endurance, which is trained by physical activity and never increases from normal cardio exercises. Such results were achieved due to the fact that during periods of short-term extra-intensive work of those who train, their pulse reached a frequency of over 80% of the maximum, that is, passed into the anaerobic zone. The high efficiency of the Tabata method could not be overlooked, it soon became widely popular all over the world. In fact, this system is not a complex of certain exercises, but a training regime with a strict alternation of intervals of intensive work and rest. Exercises can be any. Therefore, a more correct name for this method is the Tabata protocol. Rounds for 1 training can be from 1 (for beginners) to 4 (for well-trained), the break between the Tabata rounds is 40-120 seconds. The total duration of the training, without taking into account the warm-up and hitch, which are mandatory under this system, can range from 4 minutes to 22 minutes (with 4 rounds with two-minute pauses between them). The main advantage of the method is its high efficiency. In just 4-20 minutes of training 3-4 p. more fat is burned per week than with classic cardio watch loads. The fat burning effect of the Tabata protocol is based on the fact that it triggers the mechanism of fat burning, which acts not only during classes, but also lasts for 24 hours after the training. Ordinary cardio does not have such a “afterburn effect”; with it, fat burns only during training. The Tabata method improves both aerobic (heart) endurance and anaerobic (muscular). Due to the anaerobic effect, the Tabata system burns only fat, keeping muscle tissue intact. Tabata improves muscle tone. And although it does not have much effect on muscle growth and is not capable of replacing strength training, it helps to overcome the adaptation of the body to stress and move the weight loss and muscle gain during the plateau off the ground. Doing the Tabata protocol is possible anywhere – at home, in the gym, in nature. For classes do not need inventory, the only thing you need is a timer that beeps according to the protocol. The program with Tabata timer can be downloaded for free on a smartphone or use it online. Regular training of Tabata reduces the risk of developing type 2 diabetes, helps to overcome depression. You can use a wide range of exercises, in accordance with their tasks and preferences. To make 8 such cycles in a row – one 4-minute Tabata round is not easy even for people with good physical fitness. Athletes rate this load as extremely difficult. The fact that the lactate level in the blood, which serves as an indicator of fatigue, during the Tabata workout increases on average three times higher than the lactate threshold, indicates the degree of difficulty of this load. This is a very exhausting, exhausting load. Therefore, for people with poor physical fitness, Tabata is potentially dangerous. Those who finally got up from the couch and decided to take up their physical form, in vain think that Tabata will suit them for beginners. It should be noted that beginners for loads of this level of intensity are those who for at least 2 months are systematically engaged in cardio and strength training and have experience in high-intensity interval training. Due to the fact that when performing this protocol, the heart and joints are subjected to a high load, it is necessary to warm up and hitch at the beginning and end of classes . This will prepare the body for intensive work, and then smoothly remove the cardiovascular system from the stress regime. Exercises for Tabata can be taken from cardiovascular exercises, strength training with its own weight, with a small burden. These can be squats, jumps, berpis, slat, lunges, pushups, sprinting and much more. The main thing – to carry them out as fast as possible. You can pick up exercises, focusing on the study of problem areas, but it is better to load the whole body – top, bottom and press. 8 different exercises are performed on one approach. One Tabata round is recommended for beginners. Trained people can perform 2 – 4 rounds with breaks of 40-120 seconds between them. Their exercises can be different or repeated. You need to start and finish each approach at the signal of the timer. In the intervals between approaches and rounds, it is recommended not to stop, but to keep moving – walk slowly, make simple movements to restore breathing. The complex of exercises Tabata is recommended to be changed every 3 workouts so that the body does not get used to the same type of loads. In this case, the effectiveness of classes will not decrease. It is possible from time to time to return to the old programs, but supplementing them with new exercises. Daily practice according to the Tabata protocol is not allowed. This can cause fatigue and nervous exhaustion. Enough to train 3-4 times a week. It is not recommended to train on this system on an empty stomach or at bedtime. It is also not recommended to use this method for girls and women in the days of menstruation. wishing to increase endurance and increase the level of physical fitness. Even if you have an adequate level of physical fitness and do not have contraindications, begin to train with this system with caution. If dizziness, weakness, pain appear, engage in more benign HIIT options. 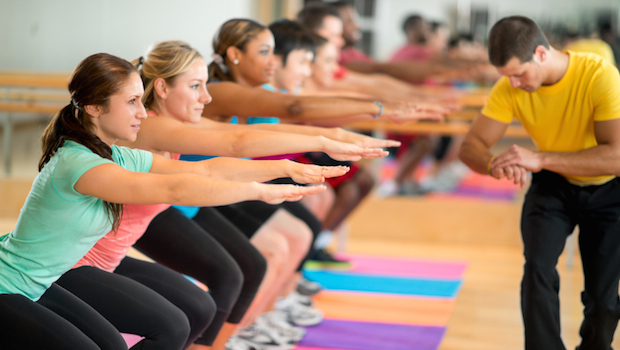 We offer approximate training programs for Tabata for beginner and intermediate level. Before starting a workout – warm up 10 minutes. Running with throwing the legs back until the heels touch the buttocks – 2 sets. Rising in the buttock bridge – 2 approaches. Jumping with breeding legs and raising hands up – 2 sets. Push-ups from the knees – 2 sets. Hitch – until you reach normal heart rate. Leap with breeding legs and touching the opposite foot with a hand – 4 sets. Back and forth lunges with jumping – 4 approaches. Burpy without pushups – 4 sets. Jumps with a crouch and turn on 180 ° – 4 approaches. Plank with alternate lifting legs – 4 sets. “Book”: sitting with an emphasis on the hands behind, we join and move away the chest and knees – 4 sets. Protein cocktail is a low-calorie product created on the basis of protein compounds. The advantage of this drink is that the protein, when ingested, is not stored in fat, but is a building material for muscle mass. Of course, if you do not engage in the gym, your muscles are unlikely to grow and gain relief, but fat deposits will definitely go away. Although protein cocktails are primarily associated with bodybuilding in many people, their main advantages are not limited to helping you to “pump up”. For overweight women who want to lose weight, daily intake of protein shakes will help ensure a lasting sense of satiety, thereby limiting the total caloric intake. Of course, you will get better results if you use other additional measures to lose weight in parallel, but even taking one portion of protein (protein) cocktail as a meal replacement once a day has enough potential to help you lose weight. So, what is the essence of protein cocktails for weight loss? How to prepare a protein slimming cocktail at home? 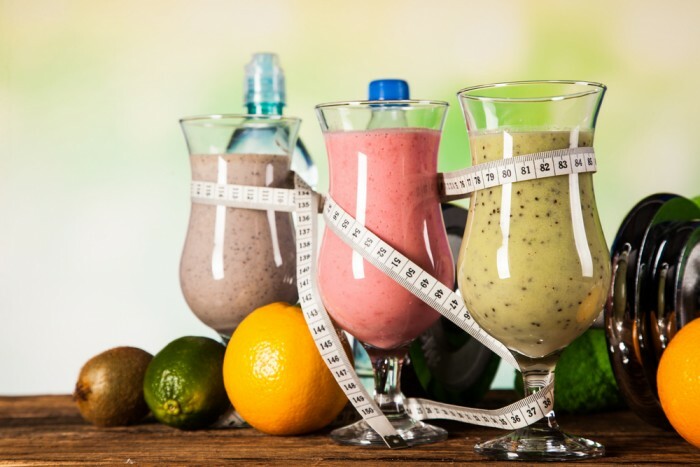 Since your main goal is weight loss, you can replace one or two normal meals with protein shakes to reduce the amount of calories consumed and work towards permanent weight loss. In 2003, a study published in the American journal Nutrition Journal showed that participants who within 40 weeks replaced 1 to 2 major portions of foods with a high protein mixture lost significantly more weight than those who followed a low-calorie diet with three regular meals a day. getting a charge of vigor and energy. As a result of a competent combination of exercise and diet with a regular intake of a protein cocktail, the body will receive a sufficient amount of protein necessary for active training and intensive weight loss. the presence of vitamins and minerals additionally contributes to the normalization of their balance in the body, which is very important during dietary nutrition. In dry protein concentrates, L-carnitine is often present, which accelerates metabolic and fat burning processes, as well as additives that reduce appetite. For vegetarians, vegetable protein is produced, in particular, soybean, the protein of which is digested worse, but this does not reduce the effectiveness of the drink in terms of weight loss. Keep in mind that consuming too many protein shakes can have negative long-term effects on women’s health. Despite the fact that these mixtures contain calcium, which helps prevent osteoporosis, using a high-protein diet for a long period of time can, on the contrary, lead to its loss. In addition, excessive protein intake may increase the risk of diverticulitis, constipation, heart disease, liver, kidney and even cancer. Among the less serious consequences, it should be noted that protein cocktails can have a paradoxical effect, causing weight gain in their daily long-term consumption. In addition, you can create in the body a deficiency of important nutrients, if you neglect the main products in favor of protein mixtures. After all, these products have a greater supply of vitamins, minerals, antioxidants, phytochemicals and other useful compounds than any protein cocktails. Pay special attention to the ingredients listed on the label if you buy protein shakes at a sports store, instead of cooking them at home. Such additives, most likely, contain more artificial ingredients: sugar, fat, cholesterol and sodium than home-made cocktails. Thus, even if they are well enriched, such options can not offer you sufficient nutritional value, so give preference to mixtures with low fat and sugar content and high volume of fiber, protein and natural ingredients. Self-creation of protein mixtures at home will help you save money and control what ingredients and nutrients are used in the manufacture. Although many people actively use protein powders as the main ingredient in the future cocktail, you can easily prepare a delicious and protein-rich beverage without it. Prepare the blender and pour into it 1 – 2 cup skim milk, one serving of which contains as much as 9 gr. protein and 12 g. carbohydrates. Replace the protein powder 1/2 cup of skim or partially defatted ricotta cheese, which is made from whey proteins. This portion contains 14 g. protein, 6 g. carbohydrates and about 10 g. fat. Serum is very quickly absorbed, and is an effective component for stimulating the synthesis of muscle protein. Add 1/2 cup low-fat cottage cheese, in which an important ingredient is casein, a substance that is very slowly digested. Forming a jelly-like mass in the intestine, casein slows down digestion, creating a “brook effect” of amino acids (building blocks of proteins) in muscle cells. In addition, casein prevents the destruction of muscles and helps to suppress appetite. 1/2 cup of cottage cheese contains 5 gr. carbohydrates and 14 g. squirrel. Add 150 gr. 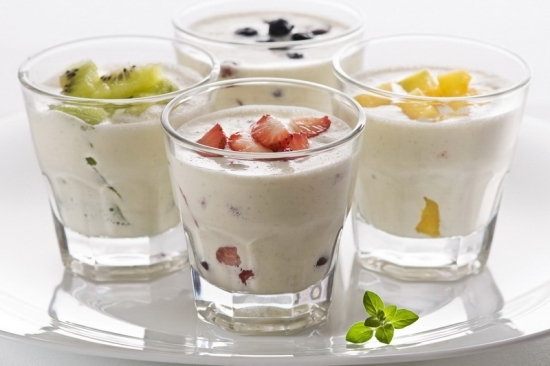 degreased yogurt to your taste and place in a blender to a homogeneous consistency. Yoghurts contain probiotics of healthy and healthy bacteria that promote good health, as well as calcium, which, as you know, can help with weight loss and will prevent further accumulation of fat. This portion of yogurt adds 14 gr. carbohydrates and 8 g. proteins in your cocktail. Put frozen or fresh fruit to add flavor, vitamins and healthy carbohydrates. Pre-frozen bananas allow you to give cocktails a consistency of ice cream. And at the very end, add a couple of tablespoons of flaxseed or olive oil or other healthy fats, which is aimed at preventing the possible development of cardiovascular diseases and improve overall health. Polyunsaturated and monounsaturated fats can help you reduce the damage that your body does to harmful, saturated and trans fats. Use a protein shake immediately after preparation. If you still have a surplus, pour it into a tightly closed container and store it in the refrigerator. Shake well before use, as some components may fade over time. Protein cocktails are guaranteed to help you achieve weight loss and maintain muscle mass, if you regularly get cardio and strength, but they can not do it all alone.In addition, before you start a new diet that includes taking protein blends, you must get approval from a nutritionist or doctor. To form a beautiful and harmoniously developed muscles of the upper leg, training should include exercises on the hamstrings. Together with the pumped up, elastic buttocks, the back surface of the thighs provides an effective fit of the trousers and is largely responsible for a sporty, smart silhouette. These muscles are involved in many basic exercises, which need to be supplemented with isolators for the right accent. 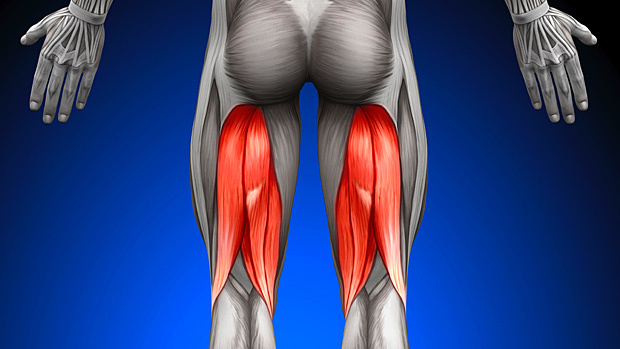 The hamstrings are a muscle with a short and long head. She is responsible for the extension of the thigh and flexion of the knee. Correctly pumped hamstrings will not only be the finishing touch in the perfect leg musculature, but will also improve sports achievements in order. Let’s talk about how to pump the hamstrings, whether it can be done at home and what special exercises have already been developed for girls and guys. To begin with, pay attention to pumping the hamstrings at home or in the hall, it does not matter, it takes as much time as the rest of the muscles. Several sets, which, many are sure, are enough for pumping this muscle, in fact, is catastrophically small. Refer to the training of this part of the body with the greatest possible seriousness and only then can you achieve the expected result! Romanian” deadlift is the number one option! Exercises for the hamstrings – you can change places, for example, first do not bend the legs, and deadlift, and then everything else, etc. There are a number of exercises with which you can independently pump out your hamstrings at home. All of them are simple enough and understandable and the video on the website just confirms this. So, let’s begin. “Romanian” deadlift is the number one option! In general, traction has much in common with the “dead”, performed with straight legs. Its difference is the knees bent at a small angle and a harmonious deflection in the lower back. Pay attention to the movement of the neck – it should go as close as possible to the knees and hips. Excessive displacement of the neck is fraught with injuries. While lowering the neck, be careful, slowing the rhythm when lifting, on the contrary, try to accelerate. Remember that the muscles will grow faster if you carefully stretch them after each workout. In addition, the elasticity of the muscles will help to avoid injuries! Despite the fact that the “Romanian” deadlift is out of competition, there are additional opportunities to load the muscle at home and in the hall. An excellent option – this is the bending of the legs with the maximum number of repetitions during training. As the weight increases, the legs respond well to the increased number of repeats of this kind. The time between the approaches is used to cut the biceps of the legs in the same way as you used to do in the case of biceps on the hands. Proper regular reduction will help to increase mass and density faster. Do not forget about it during the training. Train your back and biceps legs during one workout. Try, that for one training it was possible to train not only a hamstrings of a hip, but also a back. Training of these muscle groups is possible in tandem, for example, in the process of performing slopes. Change the speed of the exercises.Despite the fact that traditionally exercises are performed with fast lifts and slow downs, it does not prevent from changing the speed for so-called mass stimulation from time to time. Highlight days for slow and fast workouts. Do not stagnate during an exercise with leg bendings. The position of the socks is important for the operation of the hamstrings during the bending process. Extended socks contribute to increased contraction in the upper part of the muscle. Raised socks increase the contraction in the lower part of the muscle. “Play” with the muscles of the lower leg to achieve variability. For a change during flexion, try not to strain the muscles of your legs. Reducing the working weight will demonstrate the role of calves in performing flexions. Try to exclude them. Perform attacks for the load of the hamstrings. Such an exercise is quite suitable for training at home. The correct wide step and deep lunge allows you to connect not only quadriceps, for which this exercise is performed most often, but also biceps. Perform attacks should only after a hundred percent recovery of quadriceps, given that they also fall load. You can pump your bicep ham to the girl both in the gym under the guidance of the coach, and at home, using special video. Below is a list of effective and simple exercises for girls. Perform this exercise should be in the position of lying on a special simulator-bench. Fit the length of the simulator under yourself and lie down face, fixing the legs on the side mounts. Hook your hands behind the side rails and begin to slowly perform the bending of the legs for each exhalation. Perform several sets of twenty repetitions. Exercise is also performed on the simulator and is one of the most effective for the hamstrings. Start the exercise from the lying position. The hips rest on the simulator, the body is stretched, the arms in the lock in front of him. Bend your legs, bending backwards. Having reached the apogee of the bend, do not breathe for a few seconds, then return to the starting position. Exercise according to the instructions will help in a short time to increase the mass of the hamstrings. Take the starting position standing with your feet shoulder width apart. Exhaling, lower the bar to the floor, bending in the lower back, but not using your legs. Return to the starting position by inhaling, fully straightening your back. While performing the exercise, do not tilt the head to avoid injuries related to the pressure applied to the neck. The simplest exercise that can easily be done at home. Take the starting position, put your feet a little narrower than the width of the shoulders. 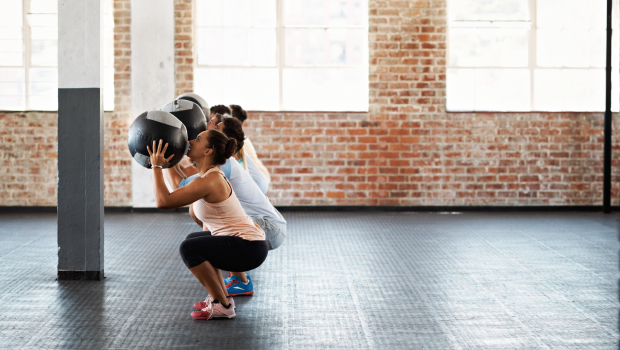 Do squats with dumbbells in your hands, breathing in during the squat and breathing out. It will be enough to have several sets of 15 repetitions. As you can see, exercises for working at home and in the hall, allowing to pump the hamstrings, is enough. Follow the recommendations and use a special video for proper training, if there is no personal contact with the coach! Qualitative training of the hamstrings includes technically complex exercises, potentially dangerous for beginners. Working out the technique with the trainer will make it possible to extract the maximum effect from the trainings and avoid a long and costly rehabilitation period in case of trauma. With caution should be approached to perform exercises on the legs in general and the hamstrings in particular people with diseases of the spine, knee or hip joints. Correct technique and competent selection of working weight are the primary tasks before the beginning of serious trainings. For a full training on all muscle groups do not need a subscription to the gym, fitness equipment and free weights. All you need is your body. Note that some exercises will require additional items. You may need a sturdy wide chair or a can of water that is comfortable to hold in your hand. However, most exercises do not require additional items. If something is needed, it is not a special sports equipment, but household items that will be found in every home. Watching the newcomers, and not only in the gym, I do not cease to be surprised. It would seem that with the abundance and availability of information, everyone should know that the right warm-up is a guarantee of quality training and protection against injuries and strains. But it was not there. Many visitors, entering the gym immediately sit down on a Roman chair or other simulators for the press. And then complain that they do not go squat with the barbell, or vertical presses, because they feel great discomfort when performing these exercises in the solar plexus. And this is not surprising, since in the central part of the body there are a lot of large nerve nodes, overloading which, we turn the rest of the workout into a waste of time and money. In addition, most exercises on the press are not as simple and harmless as they seem at first glance, because in addition to the front of the trunk, the lumbar spine is also actively overloaded. Push-ups perfectly warm up and prepare for loading the top, and squats, the lower part of the body. But only to perform these exercises you need not in the power, but in a light warm-up style. Conclusion: exercises with their weight – this is the most simple and effective way to warm up and prepare the muscles for training in the gym. From the point of view of physiology, training with its own weight, in terms of the degree of impact on the muscles, is no different from training with a barbell or dumbbells. In 2011, in the US, research was conducted involving American football players who compared the body’s hormonal response to exercises with their weight and basic movements with the barbell. The results of the experiment showed that exercises with ropes and burrs (a complex exercise from CrossFit, including squeezing from the floor, squatting and jumping out of the squat) caused a stronger growth of hormones than deadlift and squats. True, and more short-term. Emphasize the time spent under the load. The maximum number of muscle fibers is included only from the 40th second of the exercise. That is, when performing an exercise with its weight, the measure of their effectiveness for mass gain is not the number of performed movements, but the magnitude of the time interval. If in the formula 4 approaches of 20 push-ups, the second parameter is replaced by 40 seconds, the result will be higher. Use unilateral versions of exercises. Squats on one leg, push-ups or pull-ups on one hand – these movements are more likely from the arsenal of circus performers. However, each of them has its own light version, which can be carried out by the usual visitor to the gym. But the return from exercises performed with the help of only one limb will be simply colossal, as it will force the body to work at the limit of its capabilities. Pause in movement. The eccentric delay of 4-5 seconds during exercise with its weight per weight is the strongest stimulus to hypertrophy of muscle fibers. In addition, this isometric load has a beneficial effect on the growth of strength and endurance. Actively use the negative phase of the exercise. The negative phase of the movement involves a larger muscle mass in the work than the positive one – this is an axiom. It was the negative movements that formed the basis for the so-called “Colorado experiment”, which resulted in 28 kilograms of muscle mass collected over 28 days . Exercises performed with their weight, but exclusively in the negative phase (lowering on the bar, on the bars, even simple push-ups) give the growth of muscle mass no worse than the exercises with the bar. And then I’ll put in 5 kopecks. Such recommendations look great on paper, but do not think that they are suitable for everyone without exception. It should be borne in mind that scientists made them for perfectly trained professional players in American football, whose average age is 22-28 years. Therefore, the advice of American researchers should be adapted to their level of preparation. Conclusion: training with your body for weight is not an easy walk, but really hard work with the ultimate mental concentration. There were times when it was believed that morning jogging is the best kind of load for getting rid of excess weight. But people who believe in such a fallacy, it is now as difficult to find as the muscle mass of runners-marathon runners. 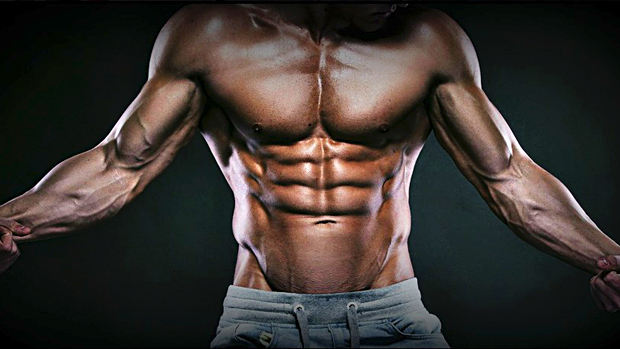 Everyone who really wants to lose weight knows that the most powerful and natural fat burner is our muscles. The more of them on the body, the higher the consumption of calories and the faster the metabolism. Therefore, to lose weight quickly, you need to perform the most difficult exercises aimed at increasing muscle mass: squats, presses and traction. But does this mean that exercises with your weight for weight loss are useless? Use complex exercises. The more complex the movement, the more energy-intensive it is. From this point of view, the burr is the best exercise with its own weight for weight loss, because it will combine at once three movements that are performed without interruption. Choose movements for large muscle groups. Exercises for the legs (lunges, squats, pacing) are more effective for losing weight, because they call for more calories than hand exercises. Do not forget that fat oxidizes in the presence of oxygen. From this point of view, leg exercises also have advantages over other exercises with their own weight for weight loss, as they activate the respiratory process. Perform a large amount of work. As much as we do not want, but fat begins to oxidize far from immediately. The first 40-45 minutes as fuel, the body uses glycogen (fuel for our muscles, derived from food). That is, a short workout with its weight for weight loss will be useful only as a mobile physical activity, but for fat burning it will be of little consequence. The problem can be solved by approaching it from two sides. First, use a low-carbohydrate dietas a nutrition scheme . And secondly, increase the training time to 50-60 minutes. Increase the level of training stress. Stress is not always a bad thing. And to get rid of excess fat, so generally wonderful. Any unexpected and strong stimulus (stress) causes in our body a rise in the level of the hormone adrenaline, which promotes the acceleration of fat metabolism. Effective training with your weight for weight loss should include exercises for different muscle groups, performed without interruption. Squats, combined in a complex with jumping on the support and with push-ups from the floor, will be more stressful than doing exercises for only one muscle group. If, to perform exercises with their own weight for weight loss, add jumping rope and movement with a rubber shock absorber, the speed of the weight loss process will grow even more. Conclusion: Although the performance of exercises for the barbell gives a faster and more stable result, but training with your weight for weight loss can be done every day, being in a comfortable home environment. Training programs with their own weight are better to compose on a circular principle. That is, in one session it is desirable to work out the entire body. Or divide the load into the lower and upper part of the trunk. You can finish each session with a press. Training programs can be invented for every day or 4-5 days a week. In each of the days you can vary the exercises, grips, etc. It is important that the total set of exercises covers the maximum of the muscular part of your body. A light weight training program with its own weight can be used as a charge in the morning. After all, all the exercises you do without simulators, and most of them are quite suitable for home. A beautiful body is a symbiosis of zealous pursuits and proper nutrition. No training program for the relief for men will not lead to the desired result, if eaten all in a row. And, on the contrary, on only one low-calorie diet you will only lose weight, but do not create a sports figure. However, in spite of everything, it is quite possible for a normal person to get a beautiful and relief body. One desire to have a beautiful relief body is not enough. To achieve significant results allows exceptional perseverance and clearly set goals, patience and determination, knowledge and avoidance of typical mistakes. Beginners often focus only on cardio, strength or dietary nutrition. Such a one-sided approach will not bring the desired effect. You need to work in all directions. If the increased loads and hours of training in the gym do not bring the desired effect, then – this is direct evidence that the selected techniques for building a swollen athletic body are ineffective. 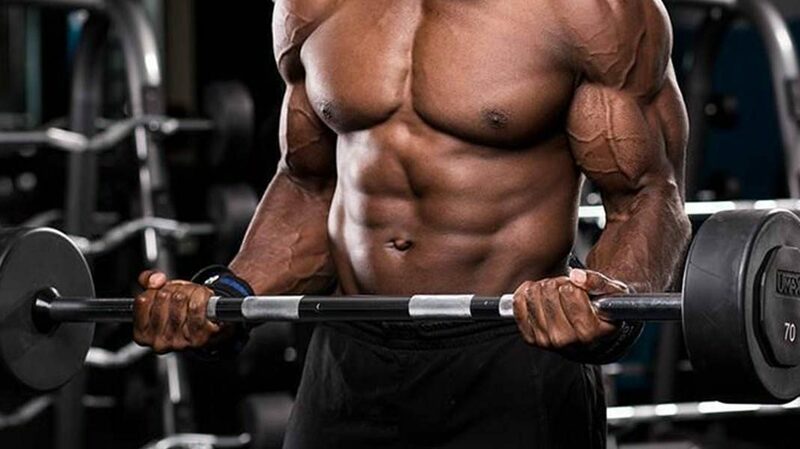 To correct the situation, the given tips and recommendations on how to pump musculature for a short time without visiting the gym are possible. Getting ready for training, athletes want to not just become bigger, but also give their muscles a clear expression. To look better and more attractive is the main reason why people go to the gym. This also determines the priority of the search for the most effective method for giving muscles relief. Many newcomers are trying to independently seek supplements, exercise programs, diets and other means that can achieve a cherished relief. However, not being professional bodybuilders, you can try many ways, but do not find one that really will work. And in order not to waste precious time, get acquainted with three simple, but really effective methods and secrets of how to pump up the relief. Lifting weights, exercising on the simulators, regular visits to the fitness center are not priority areas in the pumping of muscles. 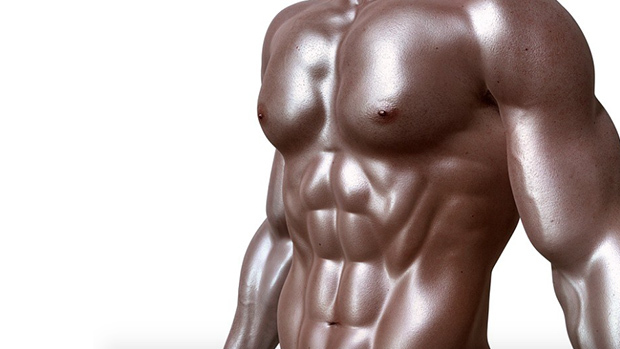 A relief body can be built without the use of specialized power equipment, not in the gym, but at home. What should I do for this ?! 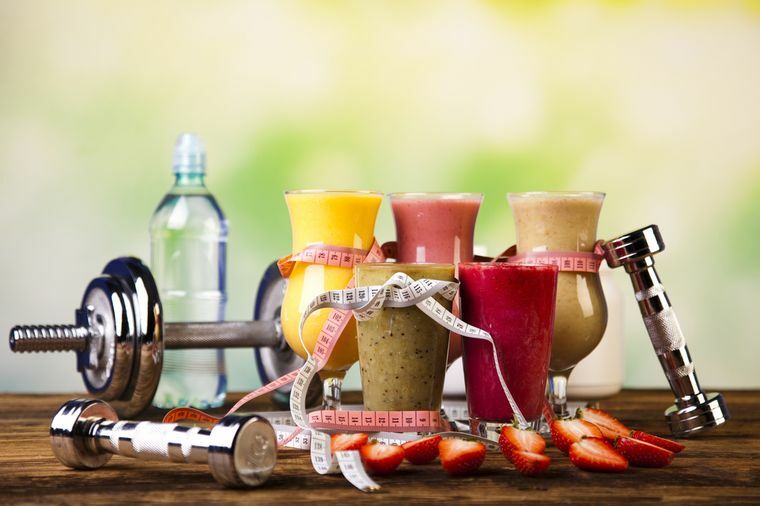 It is necessary to get involved in aerobics, borrow for your training exercises from rhythmic gymnastics, do not forget about the importance of quality nutrition, without going beyond the recommended diet. If you strictly follow these recommendations, then a 100% result is guaranteed. Push-ups, pull-ups, sit-ups, slopes, rises and lunges of the trunk are the most accessible exercises for doing at home. To increase muscle mass, do rhythmic gymnastics three to five times a week. Tip: Make sure you rest between workouts. With increasing intensity of everyday loads, fat burning is likely. In order to build musculature together with burning fat and extra calories, it is necessary to keep the intensity of the rhythmic gymnastics performed. Get rid of excess fat easily and simply allow aerobics. The recommended intensity of training is up to five times in seven days. It is best to start for thirty minutes. You can try a quick walk or bike. If there is a need for a constant reduction in the fatty layer, the intensity is increased. It is important to know: Exercise with low intensity allows you to get rid of fatty calories, and from high, to which sprint and running refers, from calories. Knowing these nuances when doing cardio workout allows you to maintain a high level of metabolism for a longer time. Eating five or six times a day for many may seem strange enough. However, those who want to find muscle relief should stick to this schedule. And the number of eaten portions is much more important than the contents. make portions, including products with healthy fats, complex carbohydrates, proteins. 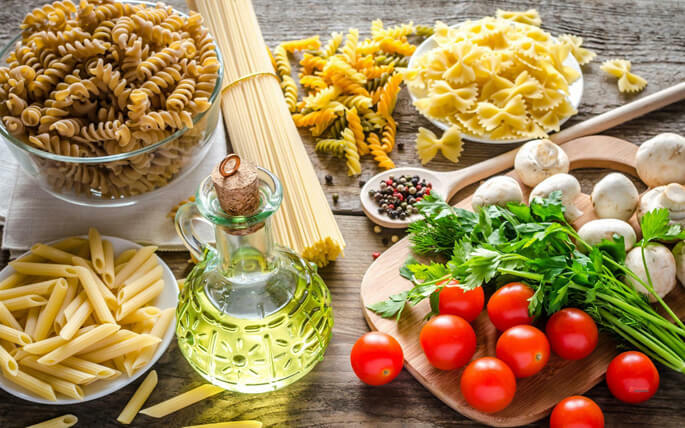 Eat foods that do not contain extraneous additives, such as fats, sugar, and salt, which can lead to a violation of the overall plan for a healthy diet. To increase the muscles leads to increased activity not only during periods of training, but also a mobile lifestyle throughout the day. Maintain weight in a normal form, avoiding problems with extra pounds, allows you to eat fewer calories than you need. The main thing is not to overdo it. Excessive reduction in the nutritional value of foods can lead to loss of muscle mass. A relief body is an achievable goal, but the path to it is complex enough and requires incredible willpower. You need to adhere to strict discipline and remember that you can achieve something only after a certain period of time. However, there are ways to accelerate this process. For those who wish to achieve quick results, it is recommended to resort to four “secret” exercises, which are simple and easy to perform, and the effect is amazing. Availability of any of the many types of push-ups for doing at home allows you to use all muscle groups in the training. You need to do push-ups daily, as many times as your own preparation allows. Do not dwell on the classic version. You can press on the fingers, on one hand, to change the position of the arms in width. 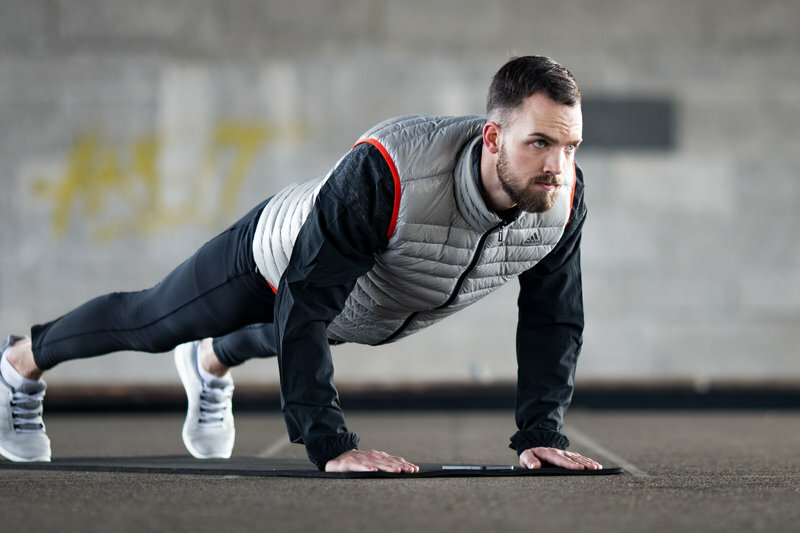 Regardless of which push-ups are performed, they burn fat and build muscle. The most important point for obtaining relief is fat burning. The best thing to do with this task will be to cope with jumping with a conventional rope. They do not require a lot of free space, but they allow you to get high loads. The maximum result will be training with double jumps, turning into slow ones, performed backwards with an easy step. The number of approaches has no limitations. An excellent exercise for the development of the back and strength of the biceps, especially for variations such as chin-ups and pull-ups. They allow you to work the muscles of the back, but a little differently. The first is performed in such a way that the elbows go down and back, that is, the musculature of the shoulder is stretched. The second is performed in reverse or with support – the use of bringing the shoulder. The best result will be pull-ups with a combination of different grips. Imitation of movement as when riding a bicycle is performed lying on the back with raised legs bent at right angles in the knees. The hands are behind the head, the calves are parallel to the floor. Tearing off the shoulders and head, the legs make a bicycle, touching the left knee with the right elbow, twisting the lateral muscles, take the starting position. You do not have to chase the amount. The main thing is to concentrate on the correct performance of the exercise, imitating cycling. Exercise is repeated several times in a row without taking a break. There is no possibility to spend a lot of time in the gym and engage in shells, and the desire to find a muscular body is great? Do not give up. Give your muscles a cherished relief can be without the simulators, and, most importantly, much faster than with hours of training at the fitness center. Each person has muscles, but most of them are hidden because of the presence of fat. Therefore, it is necessary to deal with the construction of relief only in conjunction with getting rid of fat deposits. the right choice of exercises. They do not require a large number of exercises. It is better to immediately choose some of the most progressive trainings, increasing weight every week. Even the best cardio will not help get rid of fat deposits if the food is of poor quality. Without a well-written menu, all workouts, loads and other efforts will be completely in vain. In other words, the time and effort expended will not work. In order not to feel hungry, include in the menu complex carbohydrates, do not violate the established plan for regular meals. Maintaining muscle glycogen allows the use of five grams of carbohydrate for every two sets performed. Especially important moment for those who adhere to a strict diet. Strength exercises can not only build, but also keep the muscles in tone, without requiring any special effort. It is enough to perform simple ascents from two to four times a week. If this is the first experience for a beginner athlete, you can choose a basic program for strength training and master it. Running does not take much time, it fits easily into the routine of even busy people. Beginners, who have never before engaged in any activity, should start running at a slow pace. Weekly runs quickly burn fat, the disappearance of which allows the muscles to show their relief. The number of cardioads directly depends on the genetic predisposition. Some people need little or no fat loss, others, on the contrary, have to make maximum efforts. Regardless of this, it is the load that can be obtained when running that allows you to throw off “excess fat” in a short time. to obtain a beautiful relief should adhere to a quality diet. These simple recommendations will allow anyone who aspires to get a relief and tight body, in a few weeks to make progress. 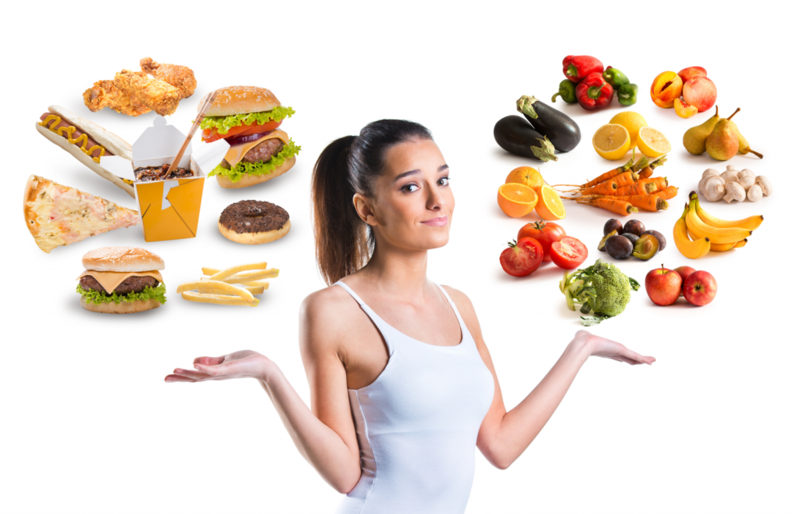 The main thing is to closely monitor your diet and exercise. Jogging, swinging the press, performing a deadlift, following a diet, and already in the near future demonstrate to others the exceptional relief of your body. In days of rest you should try to actively spend calories, and at night you should get enough sleep. After all, fitness is not just 3 days a week, when you visit the hall. It’s a way of life. Wherever you are – on the street, at home, at work or school – move as much as possible. To the musculature does not forget the training effect obtained as a result of the training, it should also be used on rest days. The body needs to be reminded all the time what is muscle activity. Body drying is an expression borrowed from bodybuilders. It means losing weight before the competition for the purpose of thinning the subcutaneous fat layer for detailed relief drawing. The result is achieved through intensive multi-rehearsal exercises with medium weights, as well as reduction in the diet of carbohydrates and fats. 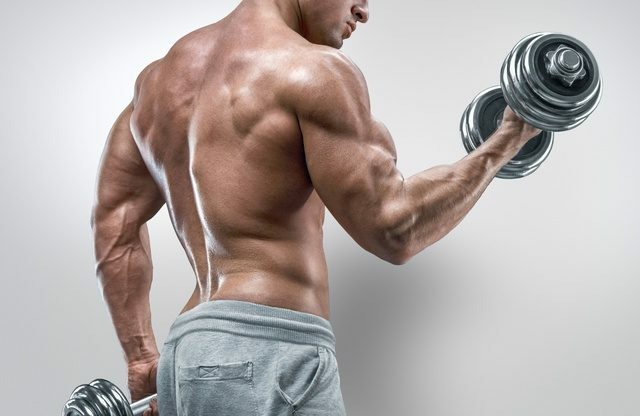 Physical loads activate in the body biological processes that increase the volume of muscle fibers and the growth of connective tissues. However, without fats, proteins and carbohydrates (BJU), there is no progression in the development of skeletal tissue. With the right ratio of nutrients and strength exercises, the amount of fat and muscle mass is equal – 50/50. With an improperly designed training program and the errors in the diet, the volume of the subcutaneous fat layer increases by more than 25%. To restore the old form, you need to dry the body. For this, there is a complex system, implying changes in the sports diet and training. What is drying in sports and how does it differ from losing weight? Who needs drying the body? Why do we need chetmliles for drying bodybuilders? This concept is now actively exploited by all women’s magazines. It is firmly established in the vocabulary of those who watch the weight. Women often use the method as an opportunity to bring the figure in order before the beach season. However, the rules of drying the house differ from the banal weight loss. The method is clearly not suitable for those who have a lot of weight and who do not go in for sports. Weight loss without physical exertion does not give those results that are received by phytonashes. Before you dry your body of fat you need to walk a few months into the gym or work out at home to bring the muscles into tonus and pull up the body. The essence of the method consists in reducing fat deposits by 15-20% and maintaining the dry mass. Drying the body is a lengthy process that requires control of power and loads. For 5-6 weeks, you need to monitor the percentage of fat using measurements and adjust the volume of carbohydrates, gradually switching to protein foods. The answer is clear – to athletes. Earlier, bodybuilders constantly watched the weight and at deviation from the norm immediately sat on a diet. Today they use cyclical approaches to correct the mass. Athletes first gain weight, then spend drying for weight loss. This periodicity spurs muscle hypertrophy and quickly burns fat. How to properly dry the body know the bodybuilders who compete in the competition. Restriction in nutrition and repeated repetitions of exercises with small scales eventually form a fry figure with traced muscles and veins. The athlete’s task in this period is to dry without losing muscle mass and harm to health. Before you make a diet and adjust the training plan on an online calculator, calculate the dry weight. The figures will prompt you how much to remove the fat, and how long the drying will last. For normal functioning in the female body, up to 15% of subcutaneous fat should be present. Girls of athletic build are recommended to have at least 20% of the stock. Men have values ​​higher by 5%. The average indicators include indicators – 25-32%. If the digits exceed the last value, it is necessary to dry. Counting BZHU during drying and calorie diet itself is difficult. For this, there are applications for phones and special programs. Examples of ready-made men’s menus and a drying diet for women will help to properly dry the body and outline the relief. Before carrying out the drying at home for 3 days, prepare the body, halving the intake of carbohydrates and the volume of servings. When compiling a diet based on the norm of protein – 2.5 g / 1 kg of body weight of the norm of carbohydrates. At the first seven days, 200 g of carbohydrates are consumed. In the next 2-3 weeks, the norm is reduced to 70-50 g. At the last stage, they return to the original volume. 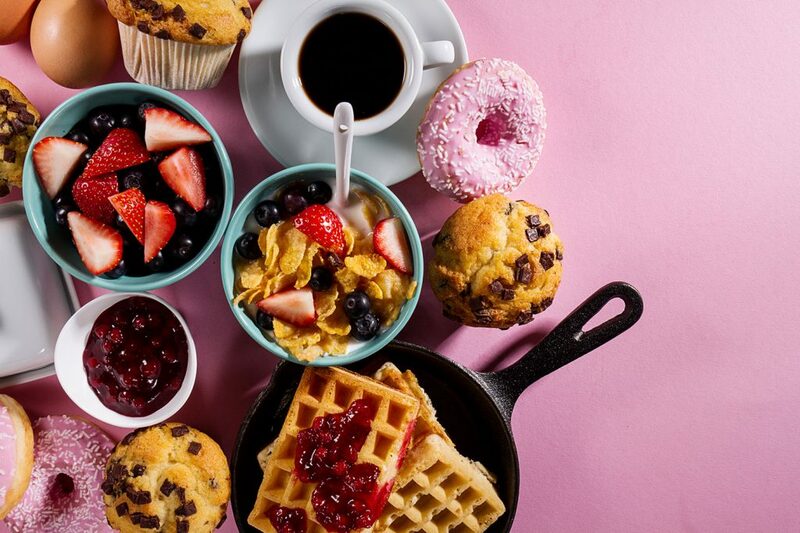 Carbohydrates with a long period of splitting are eaten at the first and second breakfasts. Supper up to 4 hours before sleep exclusively with protein food with herbs. If the weight for the first week of fat drying decreased by 2.5 kg, the diet and exercise regimen was chosen correctly. With a weight loss of less than 1.5 kg, the caloric content of the diet is reduced by another 10%. If the arrows of the scales have gone into minus by 4 kg, more slow carbohydrates are introduced into the menu. Cheat meal involves a conscious violation of the diet to build up the body. The first 2 weeks at the expense of the strengthened metabolism the fat burns intensively, then the process is decelerated. To avoid a food plateau, the body is shaken with carbohydrate loading. For those who have subcutaneous fat not exceeding 20%, it is recommended that once every 12-14 days pamper themselves with sweet. If the figures do not exceed 15%, cakes are re-used once a week. The next day, arrange a purely protein day with leafy greens. Get out of the diet smoothly , gradually increasing the glucose rate. The training regime is individual and depends on the overall preparation. The program includes multi-joint exercises for pumping the entire body and isolated for problem areas. The weight of the shells is reduced by 1/3, but increases the number of repetitions. If the percentage of fat exceeds 30%, most of the load falls on the share of cardio. In this case, proper drying involves aerobic exercise for 30 minutes with a heart rate above 120 beats per minute. Also a lot of energy goes to supersets, crossfit, interval running. The proposed complexes of exercises for men and women will help to choose the optimal load regime. Remember that before carrying out drying you should already have a good musculature, that was “with what to stay” after. That’s why bodybuilders first increase the mass, and then “dry”. During the exercise, it is recommended not to overdo with physical exertion and the main emphasis should be on aerobic exercise. But not more than half an hour.